We have gotten some variation of this question since our first day of business, October 22, 2007. Our answer, “We don’t know.” In order to answer the question we’d have to delve deep into the labyrinth that is the mind of Brian Hendrickson, who designed our logo. 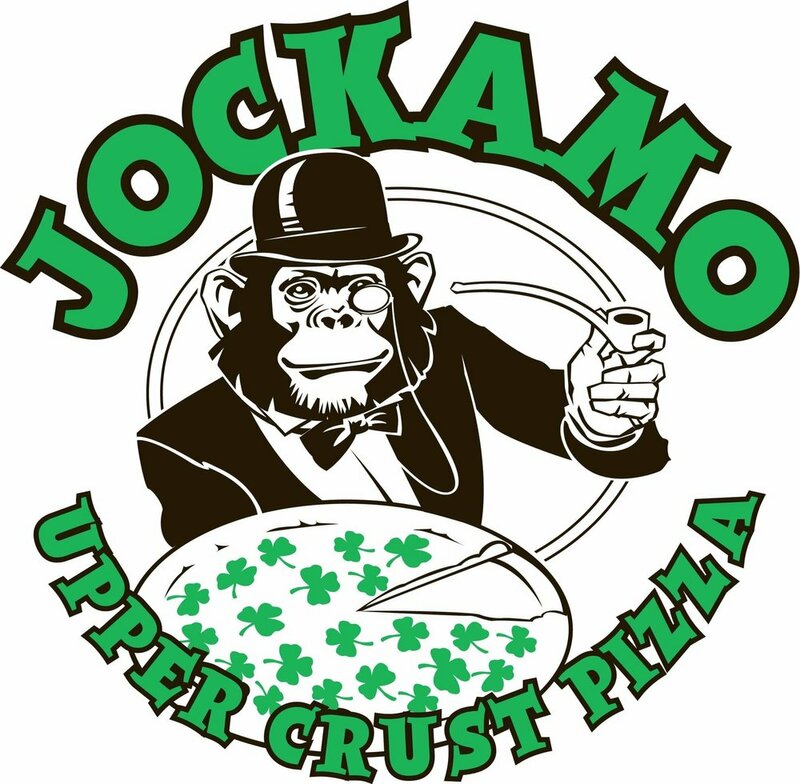 Mick McGrath, one of the four owners of Jockamo, first met Brian while both were students at IUPUI and working together on The Sagamore, the now defunct award-winning student newspaper there. After graduation they went their separate ways for a bit before re-teaming to create, publish, write, edit, etc., the award-winning (try fact checking that!) local humor magazine Fishheads, which is, sadly for some, not so much for others, also now defunct. When Mick decided he wanted to leave Bazbeaux Pizza after 16 years to start his own pizza restaurant, he naturally turned to Brian to ask if he would consider designing the logo. Brian leapt at the chance. He actually leapt! But not very far. Brian is an artist. Not an athlete. (Actually, he is an athlete. We’ll let Brian explain it in his own words: “I'm currently a third degree black belt in Aikido which seems to impress other junior Aikido people but no one else. My most intimidating martial ability is scowling, generally, and is used to keep people from cutting in line in front of me at Starbucks.”) He came up with three different logos, the other two lost to the mists of time. 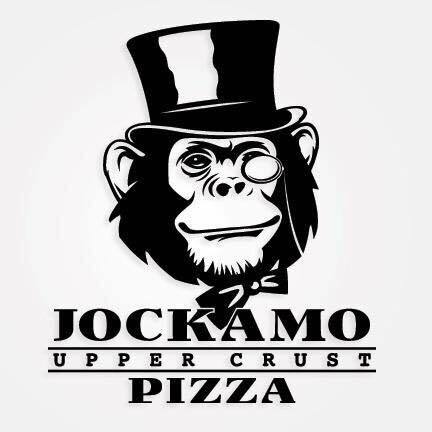 Upon seeing the monkey, so dashing in his top hat and monocle, with his Mona Lisa hint of a smile, we were sold. And there you have it, the answer to the question, “What’s with the monkey?” Although, actually, it really doesn’t answer the question at all, does it? Brian is an extremely talented painter/graphic artist/monkey whisperer. He lives with his wife and daughter in Eugene, Oregon. The bottom right landscape painting of the creek in winter featured on that website is hanging in Mick’s house, a gift from his Bazbeaux family that they generously presented to Mick upon the opening of Jockamo. It hung for several years in the Irvington Jockamo before Mick took it home to be admired by his greedy and jealous little eyes, and only his!